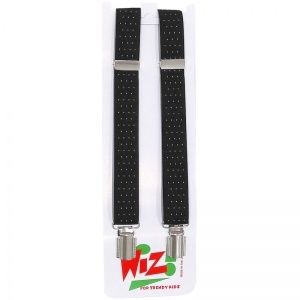 Add a jazzy touch to your little boy's formal outfit with these black dot elasticated braces. Featuring a white dot design, these black braces are adjustable with nickel free silver metal clasps. Perfect for any formal occasion including a wedding or party, to compliment his suit.